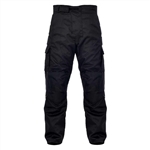 Mens Leather Motorcycle Pants - "Smarty Pants"
If you are in the area we recommend you come to our New Jersey location to get your motorcycle pants custom fit and cut. Chaps should be snug fitting and fit like a glove in order to keep the wind out and your legs warm. Our staff will be sure you leave with the correct fitting chaps and the best ones for your riding needs. 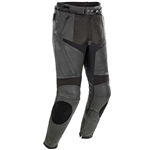 We stock a wide variety of riding pants including motorcycle half chaps and economy priced leather chaps.